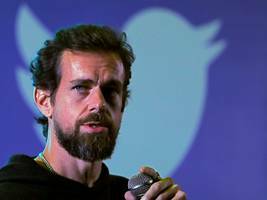 · Twitter CEO Jack Dorsey met with President Donald Trump on Tuesday at the White House. 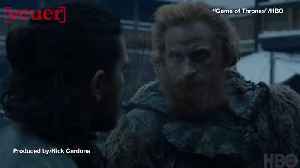 · The meeting was held to discuss "the world of social media in general," Trump said in a Twitter post. 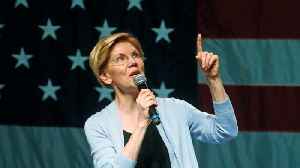 ·..
WASHINGTON (AP) — Pete Buttigieg (BOO’-tuh-juhj) is suddenly the hottest ticket for Democratic donors in the 2020 presidential contest. 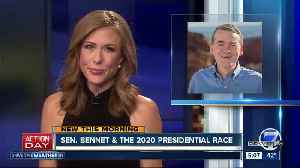 Entertainment moguls are fighting over who will host..
▶ Videos for "2020 Presidential"
Joe Biden will reportedly announce his 2020 presidential bid Thursday. Maryland Gov. 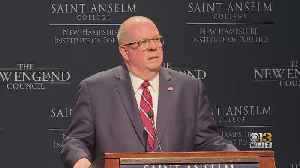 Larry Hogan said he's seriously "considering" running against President Donald Trump in the 2020 primary while he spoke in front of an audience in New Hampshire Tuesday morning. The 2020 presidential election is more than a year away. 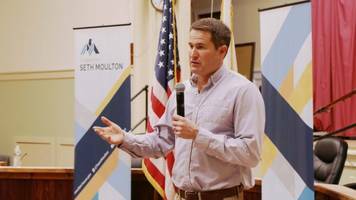 According to Business Insider, Rep. Seth Moulton of Massachusetts has announced he will be throwing his hat into the 2020 presidential race. 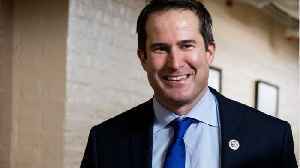 Moulton, who has a centrist policy record and the support of..
Elizabeth Warren is currently a U.S. Senator from Massachusetts and is 69-years-old. 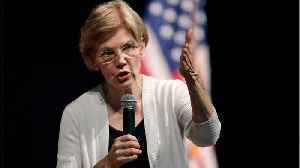 Warren identifies as Democrat and in the past was an advisor to President Barack Obama. 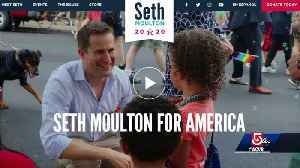 The senator consulted the..
Massachusetts Democratic Rep. Seth Moulton is running for president in 2020. 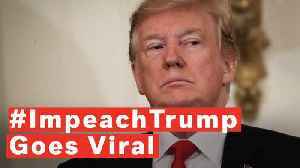 House Speaker Nancy Pelosi has urged members of her caucus to pump the brakes on the question of impeaching President Trump. 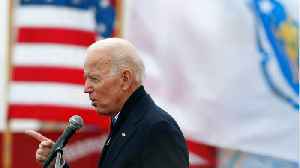 Her comments come as pressure grows within the House and from 2020..
Former Vice President Joe Biden has been on the verge of formally declaring his 2020 presidential bid for some time, but an official announcement date has thus far eluded him. 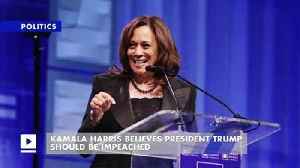 Although he has not..
Donald Trump set such a low bar during the 2016 election that one Democratic candidate is pledging not to use stolen or hacked information from foreign actors in the 2020 race. 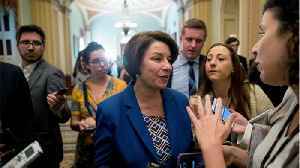 This is how we live now,..
Digital advertising has become a major factor in 2020 campaign elections, but a new report says not all advertising is paid for by presidential candidates. Some of the biggest spenders on digital ads.. 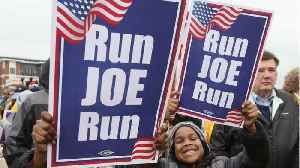 When, where and how Joe Biden announces his long-awaited 2020 presidential bid appears to be up in the air – still. 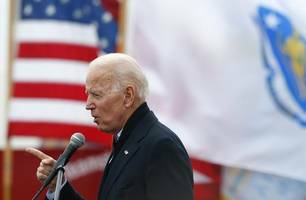 WASHINGTON (AP) — A Nevada Democrat who accused Joe Biden of touching her without permission is lashing out at the former vice president for joking about the matter as he considers a 2020.. 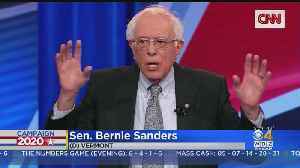 Independent Vermont Senator and 2020 presidential candidate Bernie Sanders argued at his CNN town hall Monday night that voting rights are fundamental — “even for terrible people” like the Boston..
*Rachel Maddow* spoke with newly-announced 2020 presidential candidate Rep. *Seth Moulton* (D- MA) tonight and brought up a question related to "the ratio." 2020 presidential candidate Sen. Amy Klobuchar, D-Minn., saw a couple of viral moments during a televised town hall on Monday night. As the race for the 2020 presidential election ramps up, so too will questions about voter attitudes in states that switched from blue to red in 2016. 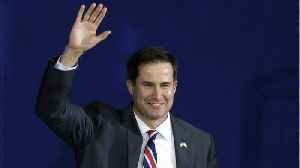 Iowa had more counties flip from Democrat to..
Rep. Seth Moulton D-Mass., an Iraq veteran who has diverged from Democratic leadership in the House in recent years, announced Monday that he is running for president, saying that "decades of division..
Minnesota Senator and 2020 presidential candidate Amy Klobuchar took a cautious approach when asked if she supports impeaching Donald Trump, saying she supports further investigations, but the decision.. The Senator's higher education proposal for her 2020 presidential run goes farther than just free college. 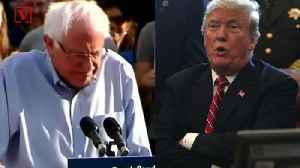 With his veto last week of legislation intended to end United States military support for the war on Yemen, President Donald Trump may have ensured his defeat to Sen. Bernie Sanders (I-VT) in the 2020..
They’re the better, but lesser-known, halves of the 2020 presidential candidates. But thanks to their time on the campaign trail, the spouses of the nearly two-dozen people running for president are..
HARRISBURG, Pa. (AP) — Democratic U.S. Sen. Bob Casey of Pennsylvania is lobbying for a presidential primary debate in his home state, which is a projected battleground in the 2020 presidential..
Sen. Elizabeth Warren said the world “needs fewer Cersei Lannisters” in a brief essay for “The Cut” on Sunday. 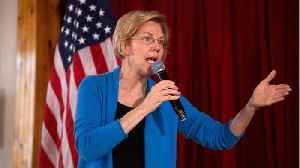 The 2020 presidential contender also revealed she was a fan of the show and said..
Andrew Yang, who is seeking a Democratic party nomination for fighting Donald Trump in the 2020 presidential election, said he aims to create clear guidelines in the digital asset world so that..
Watch VideoU.S. 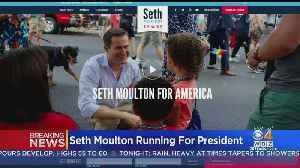 Rep. Seth Moulton entered the 2020 presidential race on Monday. "We need to restore our moral authority in everything we do. 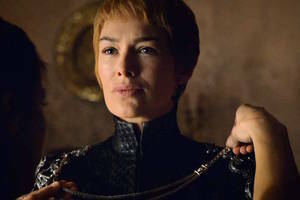 Whether it's appointing a Cabinet member, negotiating a.. 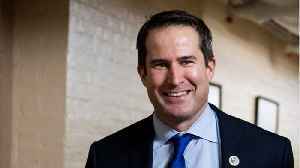 The Massachusetts congressman Seth Moulton has jumped into the race for the White Space. 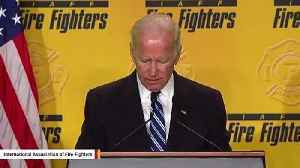 The embellished Marine Corp veteran and Harvard graduate announced his candidacy for the Democratic presidential.. Breaking Information Emails Get breaking information indicators and particular experiences. The inside track and tales that subject, delivered weekday mornings. SUBSCRIBE April 22, 2019, nine:02 AM..